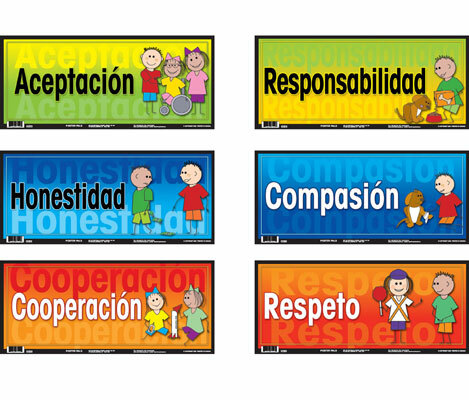 This set of six social values door signs in Spanish will reinforce basic values and teach Spanish to your students. 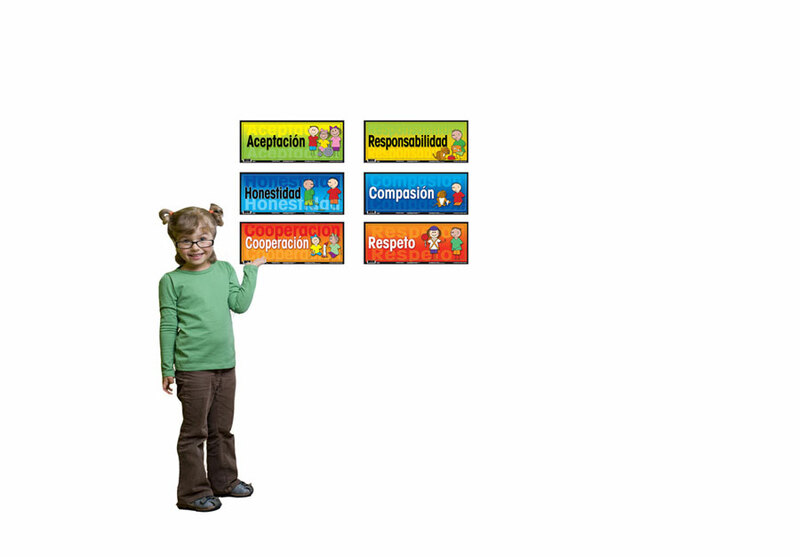 The set includes cooperation, compassion, acceptance, responsibility, honesty and respect. 18 x 8 inches. Unlaminated cardstock. All levels.